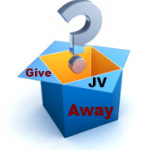 Blog What is a JV Giveaway? 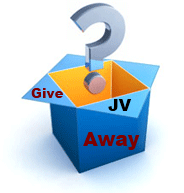 OK so I have decided to give you more information about JV giveaway events! JV stands for Joint Venture. So it is a giveaway event for lots of marketers to join together! The giveaways are freebies available to anyone who comes along to the event! I suppose its like a retailer hosting a freebie or taster session one Saturday morning. You go along and you get to keep some great freebies PROVIDED you fill in the form with your email address. Does that make it a bit clearer? Someone decides they will host (on their website for example) a giveaway event. They then invite their fellow marketers to join in the venture by contributing a freebie. If the giveaway event is in the Internet marketing niche then they will invite Internet marketers. The free gift must be relevant to the giveaway event. 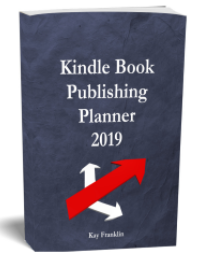 These free gifts can be ebooks, videos, reports, audios – basically anything that is digital since it is an online giveaway event. Each contributor creates their own gift and sends in the information to be approved by the giveaway event host (I’ll detail what is needed in a minute). All the approved gifts are then displayed on a web page – an ecover of each gift with a description. How Are People Invited To The Giveaway Event? Every contributor will invite their own subscribers to the event. This can be from their email list, twitter followers, facebook friends, etc. Whats In It For The Host? They get huge traffic to their site on the day of the event! They will offer products or OTO (one time offers) to people who go to the event. They are getting a huge amount of traffic to their own offers for free! They get to build their own list by the opt in form that people fill out in order to attend the giveaway event! Whats In It For The Contributor? IF people like your free gift you get a load of subscribers for free! The host of the event will usually reward you in some way by offering commissions on any purchases made by people that you have invited along to the event. You get to see whats on offer too! Contribute more than 1 free gift and therefore increase your list building opportunity. This post is going on longer than I anticipated so I shall continue another day with the details of what a contributor needs to do to prepare THE RIGHT WAY for the event. Hope this was useful as a start to understanding these events. Yes Kay I have entered JV giveaways in the past and have found them helpful to a point in building a list fairly fast. 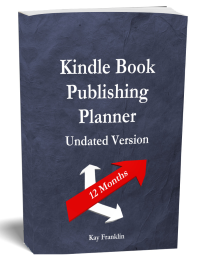 As you mention your gift needs to be something that people want to download otherwise your list will not grow. 1) Many of the events require that you promote and get more contributors and/or members to join, and if you don’t manage to this your gift is removed at the beginning of the event. This obviously causes a big problem for people just starting out that have no list to promote to. There are however some events that like you to promote but won’t downgrade you if you don’t….so newbies should keep and eye out for them. This of course renders the list you have built useless. Thanks for that information of your experience. I shall see what happens and report it here. Yes I guess the important thing is to make sure your first email responder message is really great so that people wont unsubscribe straight away! That’s great information, Kay, and just what I’ve been looking for. I’ve often wondered how these work. Yes not long to go now til the event starts. Fingers crossed!